The 34th Annual Historic Homes Tour took place on September 15th, 2018. This late-summer event opened six private residences and two historic city-owned properties to tour guests. Each private house was exquisitely maintained by their owners to match the era and architecture of the home, with upgrades to match today’s lifestyle. 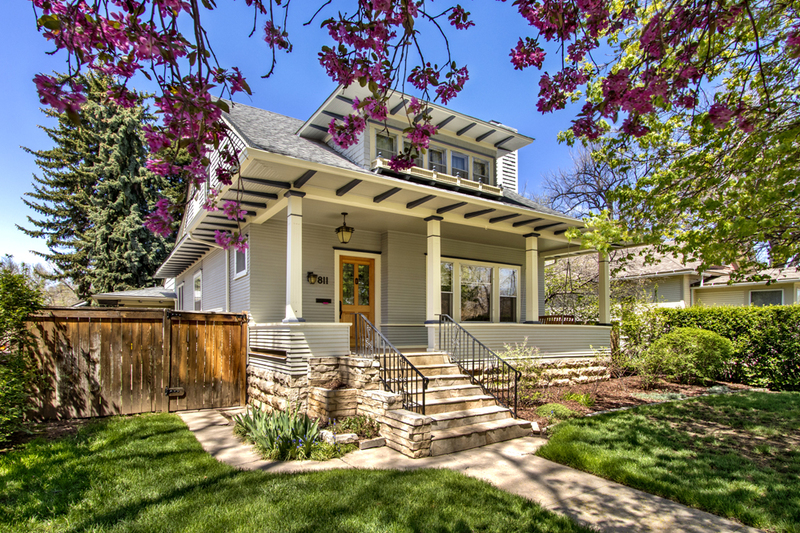 This year’s tour showcased Old Town Fort Collins historic homes built between 1879 and 1960. Many styles were represented: Victorian, Craftsman, Cottage, National, and Mid-Century Modern. The city-owned 1879 Avery House and 1883 Water Works were also part of the tour. Guests visited the homes and traveled between tour properties at their own pace and order. Knowledgeable docents guided attendees through each location, pointing out architectural features, historical highlights, and details about how each home has been preserved and upgraded over the years. This year we were pleased to include the Northern Colorado Plein Air Painters in the tour. 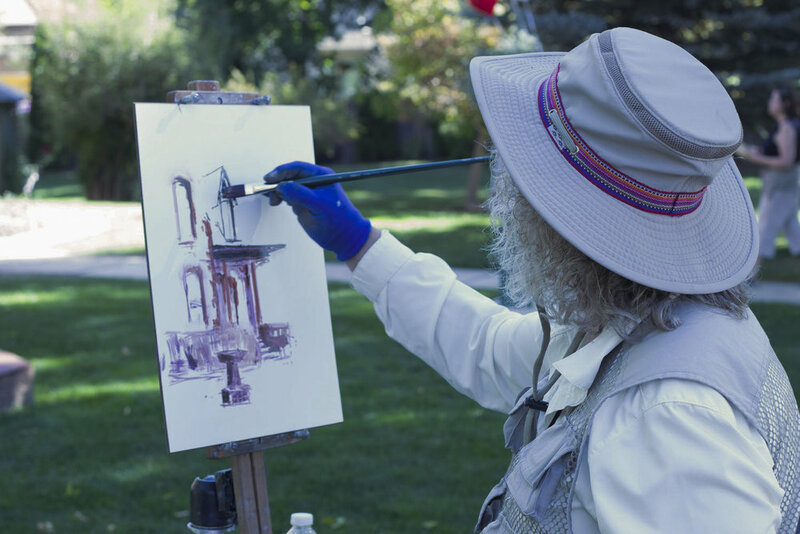 For the first time, area artists painted "En Plein Air" at each historic home. Artists rendered open-air original artwork of the tour, the homes, and the environment for the duration of the event. These original works and previously created studio and Plein Air paintings were available for purchase at a special pop-up gallery at the Avery Carriage House. Local artists featured in this collaborative event include Kevin Aldrich, Marilynn Brandenburger, Jenifer Cline, Andrea Gabel, Nelia Harper, Victoria Lisi, and Dewain Stoll. A 2019 calendar of collected works was available for sale at each tour stop, and features additional work by local artists Carl Judson and Pam Furumo. Sales of the calendar benefitted the Non-Profit Poudre Landmarks Foundation. Poudre Landmarks Foundation thanks the generous sponsors whose support helps make the Historic Homes Tour possible. Please give your support to these sponsors' businesses, which contribute so much to Fort Collins' uniqueness.